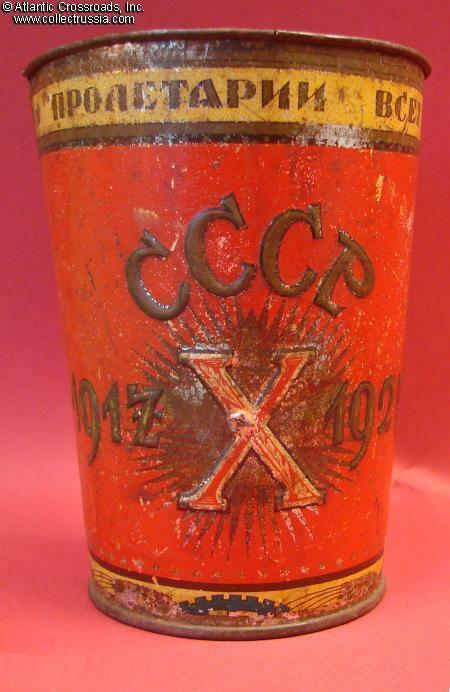 Goblet commemorating the 10th anniversary of the October Revolution, Lithographed and embossed tin. 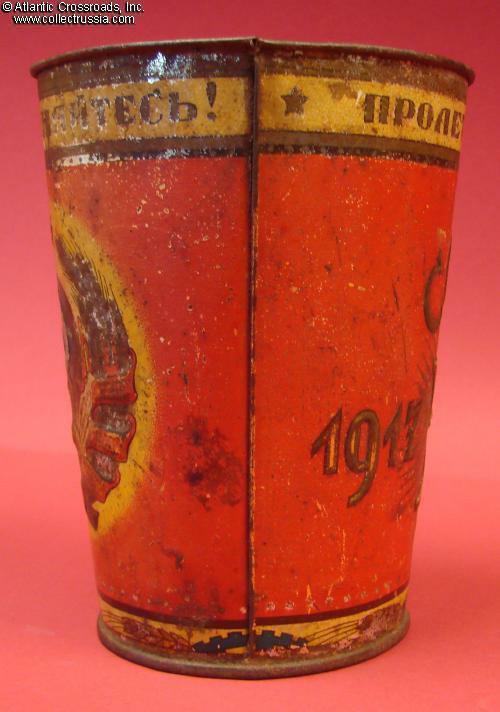 Goblet commemorating the 10th anniversary of the October Revolution, Lithographed and embossed tin. 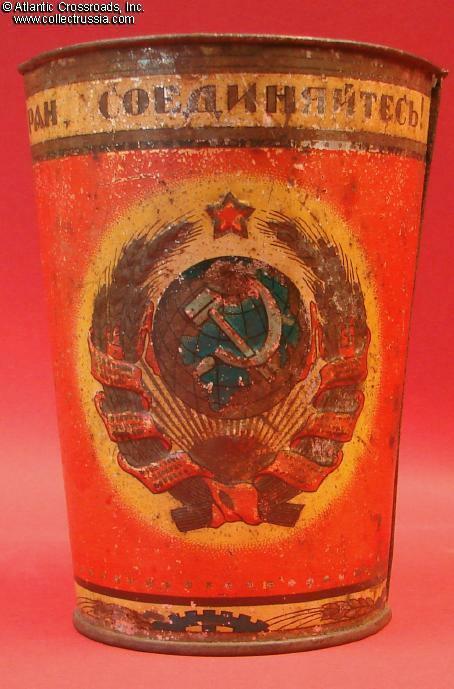 Vivid example of early Soviet propaganda art. 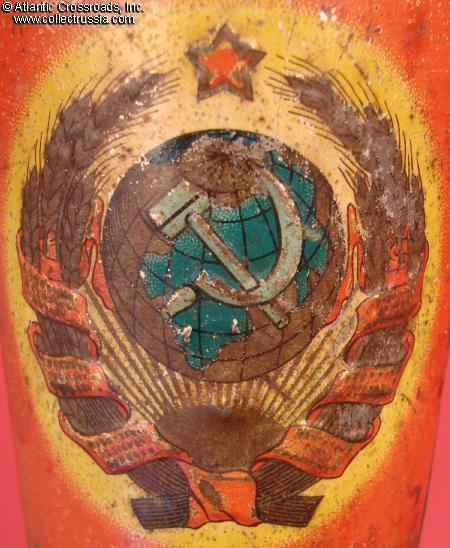 The Soviet State Emblem in the center is of very early type, with 7 scrolls representing the number of republics in the Soviet Union (the number grew to 11 within the next 10 years, and reached 16 by 1947). Infamous Marxist slogan "Proletarians of all countries, unite!" is written in typical 1920's script. 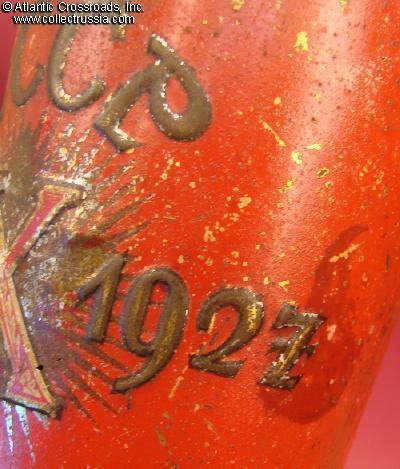 Such items were made for the masses as souvenirs of parades and celebrations, most were abused and discarded over the years. 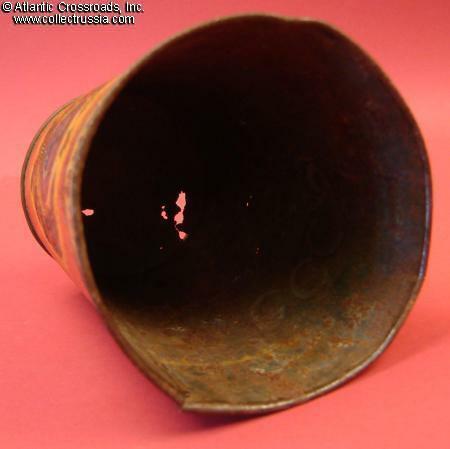 Very rare surviving early example. 3.5" diameter at top, about 5" tall. 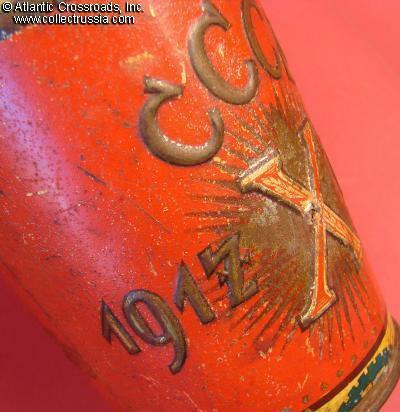 Condition is typical of the very few examples that we have seen, but - while it shows much wear and age patina - it still retains its original character and would display nicely in a collection of Soviet artifacts.